Alex J. Cavanaugh: Insecure Writer’s Support Group, Movie Review – Coco, WEP and New Releases, and Mini-Alex! And hey, we all wish we had written more! 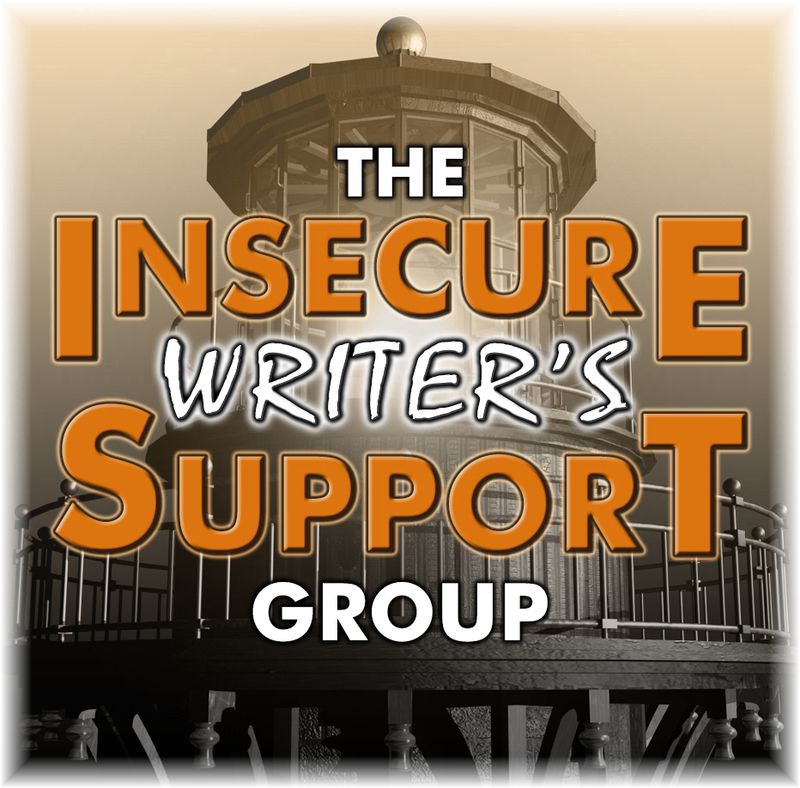 I hope you find the right mixture for the IWSG because it is a fantastic website for writers and not just those who have insecurities. I haven't participated as much as I wanted to this year but it is not because I am dissatisfied with the group. This group is absolutely fantastic. I would like to volunteer for February 2018. Take care of yourself, Alex, and have a successful crossover into 2018. I didn't know about the Writer's Digest thing! Congrats on that Alex and everyone who helps him! Thanks for all your hard work for others, Alex. A very happy 🎄 Christmas. I'm glad it's been a good year for you and that the IWSG is going from strength to strength. Nice question this month. I like to evaluate how things have gone in the past year, too. From the outside, it seems to be that the IWSG has been stronger than ever this year. I second Carole Anne Carr - thank you for all you do. May the new year see you going from strength to strength. I too could have written more. Rather than be cross with myself for not doing that, I'm going to try to work out why I didn't and maybe stop some of the reasons holding me back next year. Alex, I'd love to take my 3 year old grandson to see Coco. Do you feel it's appropriate for him? What you have created and have grown with the IWSG amazes me. It's a phenomenal group of people and friends!!! I feel blessed to have found this support group and hoping it continues and blossoms in the years ahead. Good morning Alex! I think you do an amazing job with this group. You make us feel like we have a group of nonjudgemental friends with writing, movies and reading in common. That's huge. I do plan to see Coco. Dark Wind Rising has such an intriguing cover! Have a great rest of your day. Coco looks like fun. I always enjoy a shot of Mini-Alex. Wishing you joy during the holidays, Alex. Oh, I think that you are doing fantastic things with IWSG and put so much energy into it. But I know what you mean. I want to update all 150+ agent spotlights but have a hard time finding time. Sorry not to volunteer to co-host yet but I'm producing my boyfriend's play with Feb. show dates and then have to start planning my mom's move from Florida to where I live. Maybe next summer when she's settled before I start producing another play for my boyfriend with a 20-person cast. Glad you had a good year, Alex! I remember seeing the trailer for Coco and thought it looked good. Learning what doesn't work is just as important as learning what does. Glad you're trying new things. Good to hear about Coco. The family didn't seem too excited about it, so I'll take your recommendation to them and we'll see what happens. As usual, you can pencil me in on any of those IWSG dates. Pat, a big thank you! Cathrina, he might be a little too young. Heavy themes and he won't understand. He'll like the dog and all the colors though. I'm generally happy with what I wrote this year, though not with sales. But I haven't had much time for promotion at all. Wow, you do so much already with the IWSG. I can't imagine you doing more. You should be so proud of this wonderful community that you built. I can help out as co-host on January 3rd. Have a lovely Christmas and a wonderful New Year. Huge congrats to Mark. I'm looking forward to the release of the audiobook. Alex, I volunteer to be a co-host. Just plug and play me whenever you need me to help. Going to see Coco this weekend. I've stopped with opening nights. Used to do those but I don't like the shoulder to shoulder crowded theaters any more. I'm available for January 3rd, Alex. It's exciting to think where IWSG will go. Hey, that Coco movie looks like a movie I'd love to see. I first learned about Dia de los Muertos (Day of the Dead) after we sailed into the marina at Puerto Vallarta and stayed for a few years. I find it fascinating to learn how they honor their relatives that have pass on. 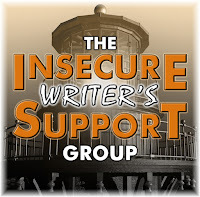 I've referred a bunch of folks in our La Cruz Writers' Group to IWSG and their FB page. It is nice to see the mutual support this group and individuals provide. Thank you and your staff for creating and supporting writers around the world. Congratulations on being in Writer’s Digest Top 101 sites. Mini Alex is rocking that Santa hat! So cute. Now you've made me want to see Coco. Sounds wonderful. Yeah, even when things fail, the best part is we know not to do them again. Pixar sure scored another win indeed. My kids are such huge fans of The Book of Life that they are reluctant to see Coco. They're afraid it's a rip-off, I suppose. I do wish I had written more this year, but my post is about something else. Yes! Sign me up as cohost. Any of those months is fine. I don't know how you could do MORE for IWSG! You're a champion of writers. Happy holidays! PS I'd love to be a cohost for any of those months! I know the IWSG will go from strength to strength in 2018. Great to be a part of the team. WEP does sound very interesting this month. I've never taken part but should! Donna, just go alone then. Stephen, thanks. We go to the matinee showing and it's never crowded. Lynn, thanks for doing that! Tamara, I thought so as well, but they are two very different movies. I can co-host in January! Or if it's already full, February is good too. Coco was stunning. Glad we agree (again!). Your hard work on everything and your support through the year of all writers is memorable and appreciated. You are a glue that keeps a lot of us rolling along. Yes, I should write more, but I'm not beating myself up about it. Here's to an awesome December and finale to the year. I've really enjoyed this monthly blog hop in 2017, and will delve deeper into IWSG's resources in the coming year. Thanks so much for all you do for all of us. I wonder if I could convince my son to see Coco. He's not a Star Wars fan, so we'll need something to do over the holiday break. Love Mini-Alex's Christmas spirit! If you need another co-host for February or March, I can help out. :) Have a great week. I'm wishing I had two new manuscripts completely written, but at least I've got the story/plots down. Just need to finish by Christmas. HAHAHA. I can co-host anytime. Merry Christmas! I hope the IWSG brainstorming goes well. I'm sure it will, though. You have some great brains there. :) Coco looks like such a good movie. Mini Alex looks so festive. I saw The Shape of Water trailer. Fantastic! I can't find a place near me that shows the movie. Closest is Miami and that's over 30 miles away. I might make the drive though. "Write More" was on my list too. Ugh. ISWG should apply a grant or donations or something for all the help you guys provide writers. We all want more writing time. I thought Coco was a delight. Our successes aren't only the number of words we put down on paper. Thank you for all you've done to help others feel more successful (and less insecure) in their writing. Have a great 2018! I always like where I'm at, so I wouldn't want to go back either. Plus, the sci-fi movies point out that you can so easily erase your own existence, so there's that. I'm really excited to see The Man Who Invented Christmas. Nothing like Dickens to both inspire writing and make it feel totally inadequate. All the best to you in 2018! 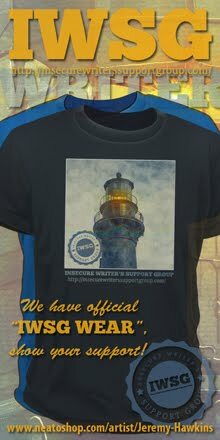 Keep up the great work with IWSG! Coco sounds like a great movie. I'm going to try to get to it before it leaves the theaters. I'm still working on my IWSG post. 2017 was good, but could have been better, especially in the writing area. I can co-host one of those months. Let me know what you need. I would've had much higher daily and monthly wordcounts this past year if I hadn't been dealing with depression and other mental health issues. Since I was shanghaied by my parents in June, my low wordcounts have mostly continued, except for the surprise of last month. I hope my productivity level can get back to its usual full-time when I've moved to Pittsburgh and moved out of my parents' house. Megan, January would be awesome! Joanne, thanks for the kind words. Christine, he's old enough he should enjoy it. Carrie-Anne, hope you get to move out soon. I've been on a run of watching some of the worst movies ever when picking DVDs off our library bookshelves. I really need to get out to a theater to see something new and good! It has been one wild ride this year, and a lot of that I did with IWSG! I've learned so much and met some new people that I might never have met without being included in this group. Congrats to those authors with new books out. And I'm thinking about the WEP. Have some family things to take care of first. Must see Coco! Yes, I think we will probably all feel we could have done more writing during the last year! Good to hear that you wouldn't change anything though. I look forward to seeing what the new year will bring for IWSG, you have a great team. LOL, love how festive Mini-Alex is. And Coco sounds absolutely amazing. Glad it didn't disappoint you! Hi Alex, I would love to see Coco. 2017 was good, but I could have made it better by getting more writing done. I hope to write outlines for 2 novels this month, so I can tackle them next year. I can co-host for January! I would love to offer to host but my life is steeped in uncertain and it is possible I could go offline for a short time. I am hoping not. If you do not get enough volunteers let me know and I will barring not going offline which I don't think it will happen but there is a strong uncertainy in the current chaos. Happy IWSG Day. Thanks for visiting me. Now you have me curious about the failures! LOL And the successes. Glad to hear Coco was good. It's looked good and very colorful! Coco was so freaking cute! Love the rugged up Mini Alex. And WEP is a wonderful place to play. Congratulations (as always) to those who feed my reading addiction. I didn't write enough either, but still made progress. Yay! I'd like to co-host the IWSG. How about March? Oh I could definitely have written more! But really so many good things happened in 2017, so like you, I'd hate to go back and mess anything up, I'll just try to do better in 2018! Coco sounds great but I'm sure I'll need a whole box of Kleenex! Congrats to both Mark and Deniz! Patricia, I have a lot to recommend in my recent posts. Did you see Murder on the Orient Express? Lee, and we are happy you came on board! Juneta, I understand. I think we will be all right. Looking forward to what you have in store for the IWSG in 2018! I didn’t really think there was anything else you could do but everyone is so creative. I know you have great ideas brewing. I'm hearing only good things about Coco. It's hard to say if you'd do something differently. Because everything impacts everything else. So, what else changes if you change that one thing? What would I do differently if I could? Recognize at the age of 15 that writing was fun and it didn't matter what other people thought of it. Then again, maybe not. I am how I am because of what I did. Not so sure I want to change that. I might be drinking cocoa as the days grow colder, but I don't foresee any Coco in my near future. There's not much I would change about this year either. Ooh, thanks for the WEP shout out! Mini-Alex looks so cute and festive :) I'm glad you had a good year. I hope that will continue and multiply in the next. Coco is definitely on my list for the hols...one more week to go. Sounds like Coco is a winner. Congrats to Mark and Deniz on their releases. I've heard a lot of great things about Coco, and I know we'll see it at some point because of the kids. We just may have to wait until it's available for rental. I'm eager to see what happens with IWSG in the coming year! Coco sounds like a winner of a movie. We were very impressed with Moana, another culturally important and relevant movie, so we might have to give Coco a try as well, after your raving review. I hope to be a co-host again in 2018, but don't know when it will best fit in my schedule. I will let you know. Thanks again for all you have been doing for your fellow writers, Alex, in 2017, before and beyond!!! 2017 was not a stellar year for me and I’m looking forward to it’s ending and a better 2018. I really want to see Coco and your review confirms what I was hoping for. 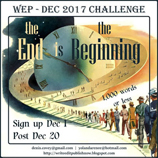 Believe it or not I;m signed up for the WEP Hale get and hope I make the posting on the 20th. I think I have a pretty good beginning at the end story to present. It sounds like Coco is a great movie! I'm picking up Mark's book today. Sorry, I'm a bit late to post today. I had the post written, but didn't set it to publish until this afternoon - not sure why, except it's been a busy time of the year. I got an ARC of Mark's book. It's better than the first. I loved it. You've done a great job with the IWSG. I can't see what other great ideas you come up with. I'm not even sure if there's anything I could have done differently. 2017 felt like it was mostly continuing the chaos that was 2016. You and your followers have turned IWSG into an amazing group, of which I am proud to join. I had tried once before, but between a few less-than-encouraging posts I read, and the mental space I was in (some serious and depressing issues were going on in my life at the time), I didn't appreciate it. I do now. Thank you for creating this, Alex! It's come a long way. I think after I come back around after the holidays, I may try to do the WEP. I don't know how I missed that it was a monthly deal, but somehow I did. It would be a good way for me to keep stretching those writing muscles. Thank you for the reminder! Thanks for the WEP shoutout! So cool, each time it appears I think, oh no, how can I accomplish this, but then the muse always surprises me. It's kept me sane in this crazy, crazy year. Thanks for the link to WEP. I didn't know about it. You're right about the answer to this month's question. Time? Where does it go? And why didn't I do more? LOL Coco sounds great. Thanks for the endorsement. I'll be sure to get the DVD (since Hubs isn't big on animated films). I love Pixar. Hope you and your family have a great holiday! Liesbet, Moana was a very pleasant surprise. Cathy, glad you are with us now. Elsie, I think it is every other month - even easier. I would like to see Coco. The trailer looks stunning. So your review confirms my suspicion regarding its visual beauty. 2017 has been one heck of a year, yet, I am where God wants me so I will look back and embrace what I've been blessed with, engaging my heart and mind in looking to the near and distant future with openness. With my increased duties at a non-profit organization where my daughter is a direct benefactor, I am looking to see how I can re-incorpoate writing into the scheme of things between working full-time, non-profit part-time, and being a mom always. Glad to hear Coco was good. I hope I get to see it in a theater. I'm looking forward to the Christmas music. I feel like I've been struggling to get into the spirit this year. I nagged my husband to help me decorate the outside of the house, I started listening to holiday music, and now I only need to find our artificial tree in storage (allergies makes a real tree a real problem). I know the real reason for the season and thank God for his blessings every day, but I'm struggling to put cheer into my heart and wear it on my face every day. I'll just keep doing what I'm doing until I feel it. I haven't heard of Coco yet, I wonder if it made it here. It's summer now, not movie season for me. I prefer outdoor activities. As for what I would do differently. I did two summits resulting in my going back and changing and rewriting. If I could do it again, I would have done it right the first time. I hope your IWSG Day is going well. I can co-host on March 7th or February 7th, if you still need co-hosts. January 3rd ~ Not. On the road back to Colorado and another cataract surgery for Terry. I always enjoy your movie reviews. Maybe I can catch Coco in Laughlin/Bullhead City next week! Take care, my friend! I definitely would have liked to have written more this past year. I think you do an amazing job with IWSG and I know I am not alone in saying that it is a wonderful experience to be part of this community. So a big thanks to you. I don't spend much time thinking about what I could have done differently in the past. I just try and learn from my mistakes. I can't really say I'd change much this year. I learned that while writing a series I need to not take too long off between books because it's harder to pick up where you left off. That's about it! There's no such thing as writing too much, is there? Great turnout for Coco at the boxoffice. That guitar of his must be the magic powers. I wish I had me one of those. It sounds like we're going to have to see "Coco" with some of our grandchildren over the holidays. Thanks for the recommendation. You should be very pleased with how well IWSG has been doing. Ya done good! Love mini-Alex and the hat! 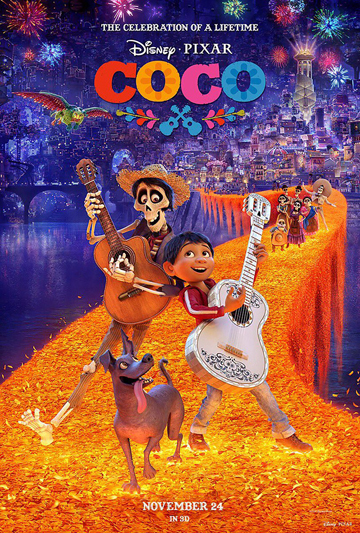 I've heard great things about Coco, and I'm waiting for the kids to hear them too. I'm always amazed at how well IWSG is growing...or maybe not. It IS a great group. I've not see Coco but it does seem like a well worth seeing movie. What would I do differently if I could? Personally, I would have said no to a few more folks who took advantage of my good nature. Hi to mini-Alex and you take care, good sir. I'm so glad Coco is worth a watch!!! Hey Alex, good to be back. Firstly, thanks for the WEP shout out. And IWSG seems to go from strength to strength. I've already bought Deniz Bevan's book but not had time to open it yet, LOL! I wish you and yours a happy Christmas, Alex, and looking forward to a busy 2018! Thanks for all you do for the blogosphere! Haven’t heard about Coco but will add the animation to family night. I’m looking forward to another year with ISWG and whatever new things it’ll bring in 2018. Happy Holidays! I'm looking forward to seeing Coco. I bet we all could have written more this past year, but we write what we can! How much more could be done with IWSG? I'm amazed at your creativity with it. Coco sounds fantastic. I look forward to seeing it. If you still need a co-host for one of the IWSG days next year, I can do it. The IWSG team is super awesome! I frequently forget to read the blog posts, but do read the Newsletter. Its the only email I'm glad it comes automatically. Thanks for 2017 Alex! It had been quite a good year for writing. The IWSG kept on going to a higher level as the year progressed. The same could not be said generally for the political and economic situations.Hoping for the better! Mini-Alex is dapper as ever! You've done a tremendous job with the IWSG, and we're all very lucky to have you cheering us on! Wishing you and your wife a very Merry Christmas and a Happy & Healthy New Year! If I could go back and do something differently in 2017, i would have written more on my novel, but I did get a little bit done, so that's a start, plus revised lots of old pieces and breathed new life into them, so it's been a good year. If George wasn't doing so well, I wouldn't have done much at all with my writing, so it's been a huge blessing as far as his health. Thank you for all your support. Good to hear your review of Coco. I'd like to see it. Sounds like a winner! Hey Alex! I think you do so much for IWSG. I couldn't imagine jumping into your role. And just so you know, I think the anthology competitions are of a high caliber. Angela, I'm sure you'll find a way to do that. Toi, fake it until you make it? Spacer Guy, I'd take one. Gary! Now you know it's all right to say no. Donna, that's good to hear. Lyn, good health is important. And thank you everyone for your kind words. At the risk of Zen overdose...despite the trauma rocking my world and those around me lately, I'm not sure I'd do anything differently. I'm convinced that every decision and every action we make and made have resulted in who we are today. I have much fewer comments to sift through, sir. I wish you the best of holidays, Alex. And Wahoo! IWSG made Writer's Digest top 101 sites! Cool! And I'm a tiny part of it. Thanks, Captain! That's a great review of Coco. I was really moved by it because of the strong connotations it had about family and my ancestors. I was not raised to believe that ancestors were important, but maybe that's wrong. I'm still processing a lot of the things that I think about the people who came before me. Glad you had a Thanksgiving break with your family. Enjoy the holiday season! Michael, I'd have to work hard to trace my ancestors back very far. 'Coulda-woulda-shoulda' gets us no where but we all do it every day. It leaves us feeling less people, let-downs, low achievers. IWSG helps so many writers, you 'should' all feel immensely proud. Here's hoping 2018 is marvellous and we all all productive, but mostly that we stay connected. Right there with ya on could have written more. I've been a bit lazy about my writing since I've retired. I'm looking forward to seeing Coco. Not sure when I'll be able to catch it, though. So happy you had a good 2017! I did too! Thanks for the review on Coco! Sounds excellent! Love Mini Santa Alex! LOL! I'd not even heard of Coco. Sounds good, I will look out for it. On DVD of course. Glad to hear IWSG is going forward still. Are your writers all from this continent? North America I mean. Sorry I am so late, been a bit involved. I do want to see Coco, I have to love that name! What would I play backwards? I can think of a few things, but then it might upset the natural order or chaos of my life. Glad to hear Coco was good. I love that Day of the Dead is making a splash in the States. 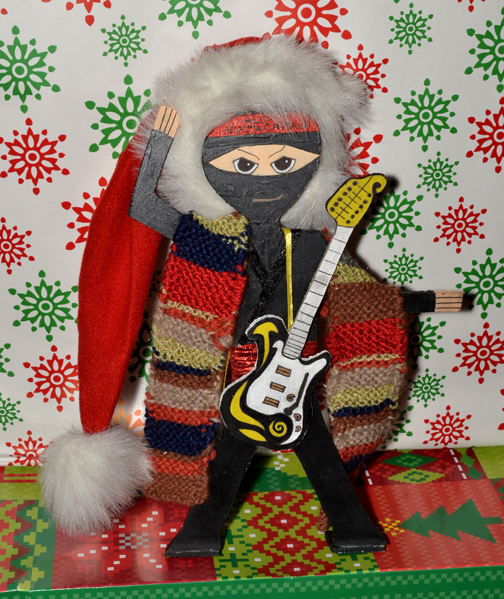 Mini Alex looks very cozy in that furry hat & serape! Glad to hear Coco was good. It hasn't opened here yet, but I'll take the kids when it does (the day after Christmas, I believe). Susan, you have to know the right time to go. Jo, from all over. And hald the admins are from other countries. Truedessa, I'm not upsetting any natural order. Nicki, second movie in two years about it. And I think you're doin a great job with iwsg , you've been around aLL year, to everyone, that's pretty damn awesome! My first graders ask me everyday if I've seen Coco yet. I will be an epic fail if I don't get to a theater soon. ISWG has been a constant inspiration to me and reminds me I'm part of a golden creative community. Long live ISWG! I can't wait to see Coco! Maybe next weekend if the snow lets us out! I have not seen Coco- but I have heard great things about it and I do love the vibrant colors in the trailer. Glad to hear you enjoyed it so much. Coco sounds like my kind of movie. Will try to see it. Looking forward to a new year and hopefully finish the things I started. I can co-host in Feb. or March. Sandra, no, he's off partying with the other Ninjas. Robert, that is exactly what I thought! But the two movies are very different. Go see Coco. The newsletter is pretty awesome! Lots of info. I was impressed. :-D What is involved in being a co-host? I probably should have written more this year, too. Same with my cohort. For the first time ever we published zero books. That will definitely change next year. Coco - one of those movies I wasn't really interested in, but after hearing all of these good things, I might just end up seeing it. Mark Noce's book is really good! He's a talented writer! I was thinking about seeing the Day of the Dead movie, but my son would rather see Dad's Christmas 2. I like the mini Alex Santa hat. Cute! On my To See List is Darkest Hour. Do you have interest in that one? Definitely up for co-hosting in the New Year. Hadn't even heard of Coco until I read this blog, but I recommend Radius. It was a surprisingly good film which I later discovered was shot in my city. Always cool when that happens. Well Coco hadn't even make it onto my radar (I don't watch TV so rarely know what movies are coming out), but I certainly want to see it now. I missed IWSG this time, due to illness. I think, if I could do something differently, I'd say there'd be less illness and injury in my house. Though I suppose I can't really control that with two kids and an accident prone husband, can I? I love the mini-Alex! I see very few movies these days. I also wish to volunteer to co-host, but no promises. Sorry. I always seem to be running from behind. I would love to see Coco. It looks amazing. You know I've become a Marvel fanatic since moving back to NY, but Vivi gave DC's Justice League a 'meh' rating (I wasn't feeling well, so I didn't go). I'd love to co-host for you any time, just let me know. Merry Christmas to you and my 'sis-in-law'. Much love. Hope your day is filled with cheer. While there is one or two things I might would do differently in 2017, none I'll mention here. Coco looks like a movie I'd enjoy, but I'd catch it on DVD. You are always welcome in Caneyhead! Did you see Star Wars? We plan to catch it Tuesday. Renee, a co-host checks on 20 other blogs in the list. I'll email you. Brandon and Bryan, I was impressed with it and glad we didn't skip it. Sherry, tell your son he's bonkers for that choice. Sandra, yes! I do want to see it. Heard Oldman is amazing in it. JH, that is cool. I will need co-hosts in April. Loni, you can always ask Santa for a healthier household. Eve, Justice League was great! You should see it. And I will take you up on co-hosting sometime next spring. Sandra, yes! I thought it was great. Review tomorrow. Yay, Mini-Alex is displaying his Christmas cheer :) I think you were probably right about many people saying they wanted to write more this year. Maybe one of these days I'll have my blogging organized enough to be an IWSG co-host. It may not be anytime soon, but my goal is to try to get to that point. Hi Alex, I am looking forward to watching the new Star wars movie:) Thank you for this cool review. Merry Christmas! Happy Holidays, Alex! I want to see Coco and have heard excellent things about it. Coco did look good. I thought it looked a lot like another movie my son and I had just watched, Book of life, but it sounds very different. I think the IWSG newsletter rocks! Aww, you mentioned my wee book! Thanks so much!